With respect to the white and blue of Cyclades and the Aegean architecture, we created hospitable spaces, peaceful with artistic interventions, ready to offer relaxation, comfort and quality to your holiday. 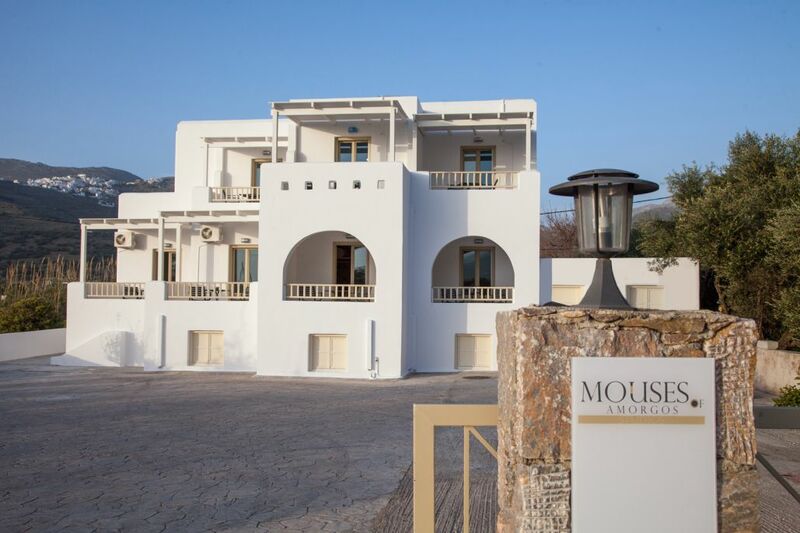 Staying in the complex MOUSES OF AMORGOS we are sure to offer you unforgettable moments of relaxation and enjoyment, the fine aesthetic our rooms, overlooking the magnificent blue Aegean Sea, leaving the best memories of the beautiful island of Amorgos. We are ready to talk about your next vacations. Send us an email and we will respond to your questions.